So Deb and I found ourselves waiting for some work to be done on the roof of her trailer after I backed up and tore it on a basket ball hoop. Well of course I checked the web right away to find out if there is a cigar bar in the are, always looking for a cigar adventure don’tcha know and sure enough there is a place called Stogies right downtown. So we jumped on the Harley, yes that’s right, the bike is out of the trailer and back on the road! 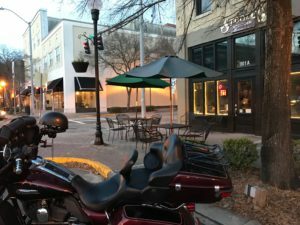 We rode down to Stogies and pulled up right out front, and right away I was impressed. 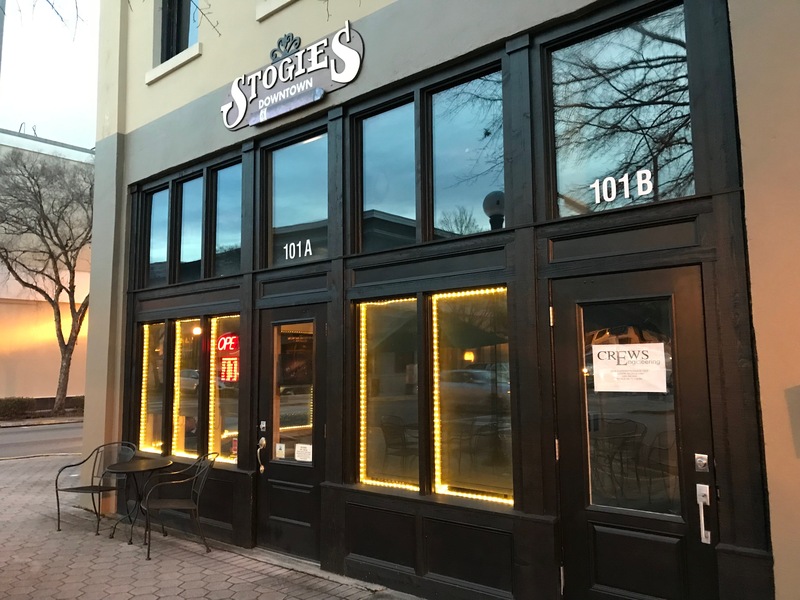 Stogies is right on a corner in one of those old timey downtown two story buildings from the turn of the century (not this century). 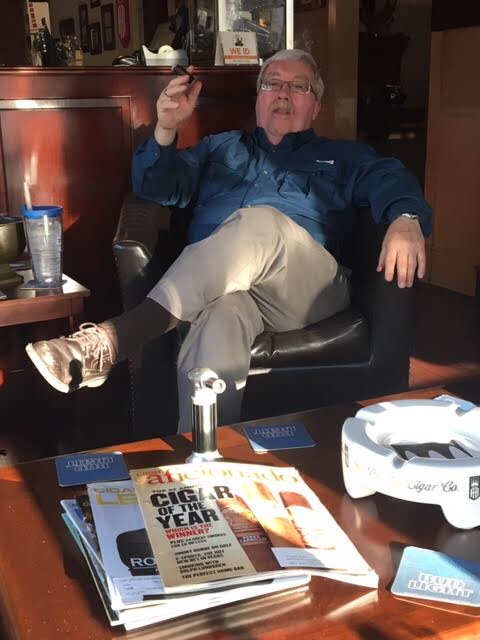 We went in and met Mike, who is the managing partner. Right away he was friendly and affable and a pleasure to talk to. 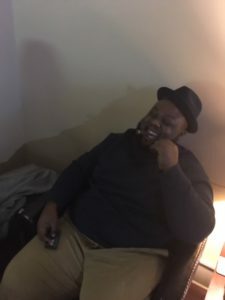 I recently had an experience where I went in to a cigar store and was unable to connect with the management people, making it impossible to write a story about them, which when it comes down to it, is free advertisement for them. But Mike is a good guy and I fell in love with the place. Just like outside, it is the old style with very tall ceilings. 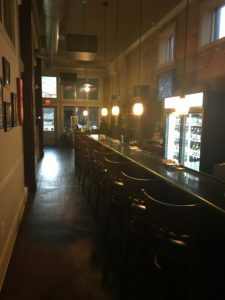 It has a warm feel to it and besides the seating area when you first walk in, their is a bar that runs about two thirds of the way down the building. There are also some rooms off to the side that offer some privacy for small groups. 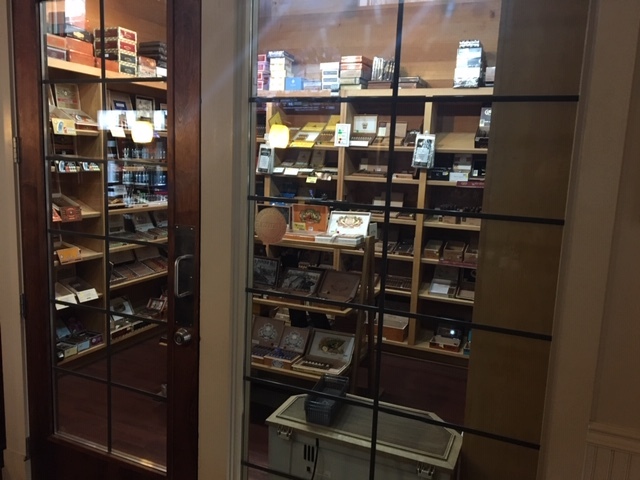 After some chit chat, we went into the humidor to see what they had. If you ever get a chance to see me in a humidor, it’s a sight to behold. I am like a kid in a candy store. I have to check out everything! Unfortunately for anyone who is in the humidor with me, I like to talk about the cigars and sometimes it’s like a sauna in there. Mike was very gracious and hung with me for quite a while, however he had some paper work to finish up and an apointment to get to, so he had to leave. He appologize, but it it wasn’t necessary, I know that I can be longwinded when talking about cigars. But just then, Scott, the night manager came in and joined me in the humidor and we stood around speaking cigars for a while longer. 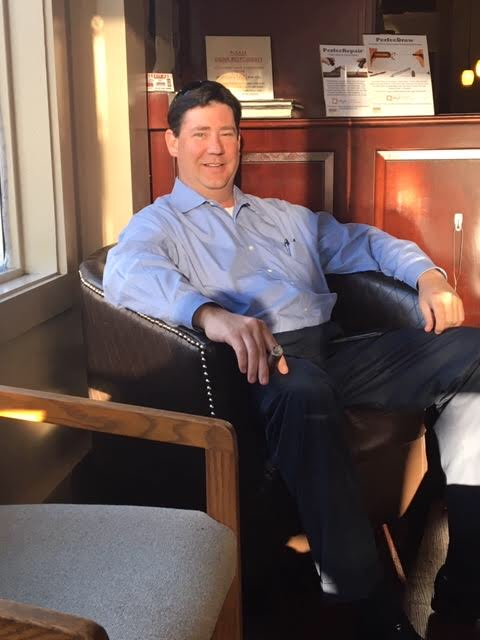 Scott is getting ready to take the Tobacconist University retailer exam and will be a certified Tobacconist. The first thing that I noticed is a cigar brand called Battleground Cigars out of Hazzardville, CT. I had never heard of them, even though they have been around for some time. I am not typically a fan of Connecticut cigars, but these guys are kind unique. I am alway up for trying something new, so I picked out an “Old Powder Keg” which is one of their extensive line. Of course it didn’t end there. Stogies has some interesting sticks and I felt like I needed to check them all out. They cary a nice selection of Perdomo, Nub, Alec Bradley and My Father just to name a few. 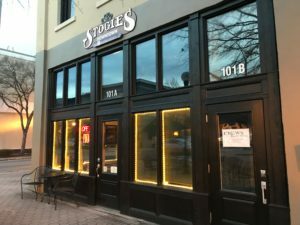 Stogies has live music on the first Friday of the month and we got to see Tom Hochschild do his rendition of “Walking In Memphis”. Tom has a great repertore, that includes oldies, not so oldies and newer songs. If you get a chance to see him, I believe you will enjoy the show! Then Bill and his wife Connie came in and we chatted for a while. I knew we would be here for a while, so I had no doubt that I would get a story out of this place. Sonny was kind enough to buy me a stick and a coffee. 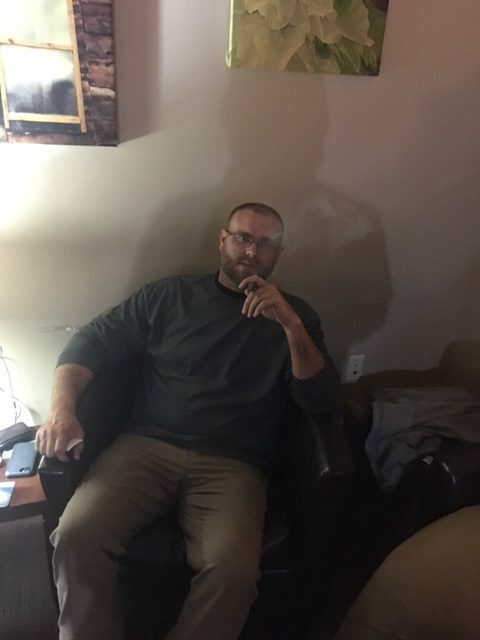 I tried another if the Battleground Cigars, this one with a Connecticut shade wrapper called “the Gray Fox”, I don’t smoke a Connecticut very often, but thought I would give it a try. This was a nice stick, with a good bit of complexity and I enjoyed it imensley. Also visited with Sean and Mike the owner. I had asked Scot if they had a busy night and he told me that Friday was the big night around there, so of course I had to be there to be sure I wasn’t outrunning an adventure. We arrived a little early, to get a good parking spot and a good seat. Went in and met the girls behind the bar, Alexis and Kylie. This was a treat, since there had only been ugly old guys before. Just kidding, Mike and Scott aint really that ugly. 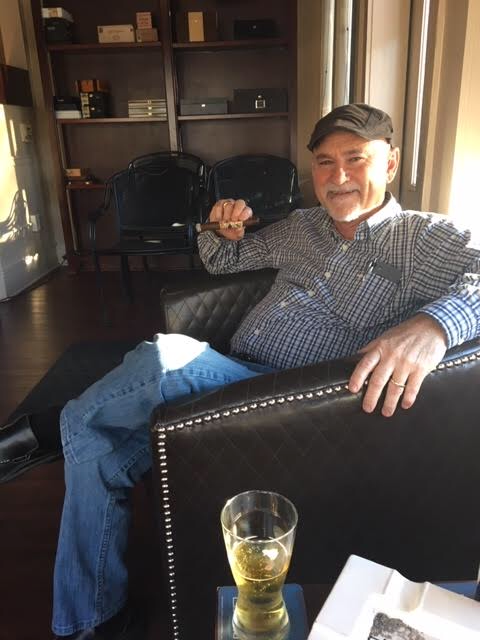 I smoked and Alec Bradley Post Embargo first and then a CAO Flathead 660 and hung out talking cigars and life with Glen who was waiting for some friends to join him. Then met Law Mcgee who just so happens to be the law. 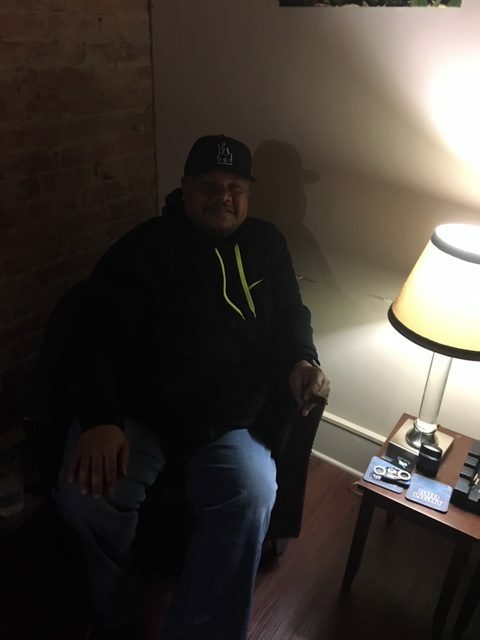 It was fun talking with him, he’s an up, possitive guy who loves cigars and enjoys talkin about them and hope to one day have his own cigar bar. I hope he is succesful and I get to visit and write a post about it! Then Blake came out from one of the back rooms to meet me, apparently Scott had told him about me and we chatted for a few moments and he went back to his friends. I had walked back that way and met his two friends Jordan and Del. 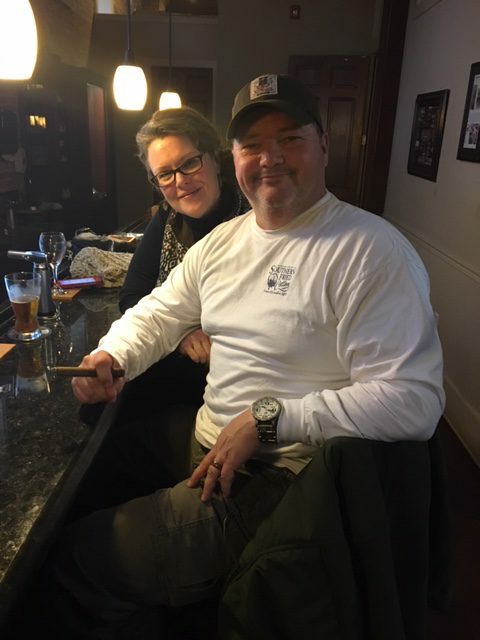 These guys are big Alec Bradley fans and reccomended a couple sticks as well as a cigar bar in Atlanta called Prohibitions. I try to stay out of Atlanta, but there’s a Cigar Bar their and that for me means their is probably a cigar adventure their, so I will probably have to go and check it out! But wait….I came back again on Tuesday (They are closed on Sunday and Monday) and had the pleasure of meeting some more folks and making a fool of myself, by first dropping my cigar ash on Kylies nice clean floor and then knocking my glass of soda on the floor. 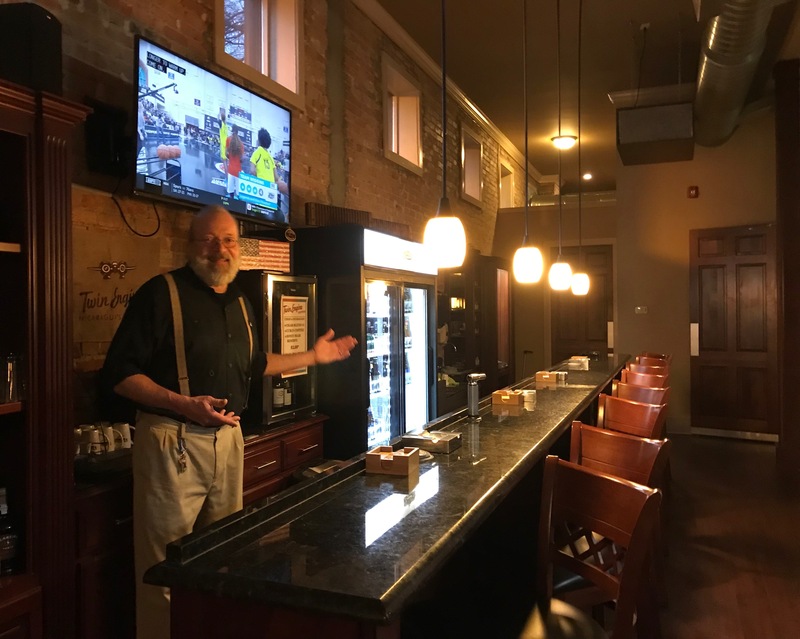 I was working on finishing this post and stopped to take a break and met Kieth, who is retired from the electric company and then Rick who is in management with KFC came in and I became engrossed in their conversation. Then the conversation went off in another direction and we came to find out that Kieth is a direct descendant of the Clantons of the Earp, Clanton shoot out at the OK Coral. 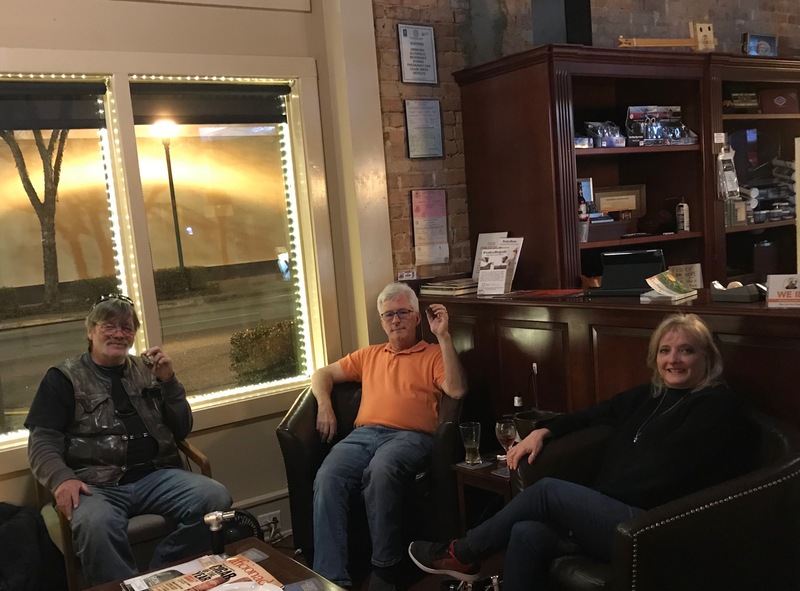 The reason that I mention this is because, you just never know who you might meet at a cigar bar! I also met Larry Dee and Dee. 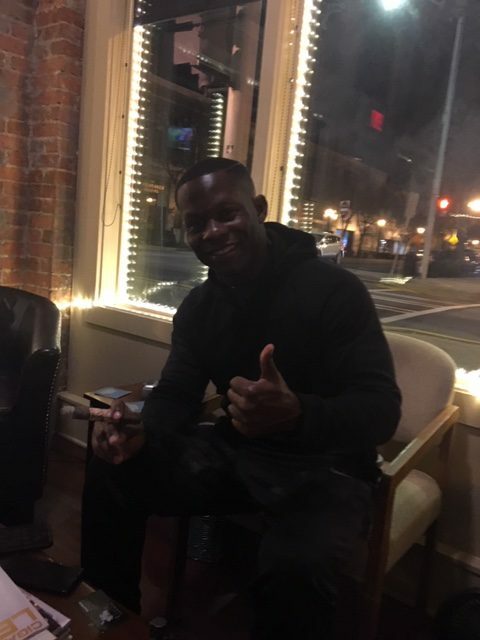 Larry says that he is related to just about everyone in Valdosta. Not everyone is comfortable meeting strangers, and at one time I wasn’t, but life is so much more interesting when we get out of our own way and experience it. got to meet the other owner of Stogies Tam Harris and unfortunately I didn’t get the chance to interview him. Tam doesn’t make a big fuss about being the other half of the partnership and I only found out after he had left. Hopefully I will have another chance to talk to him. 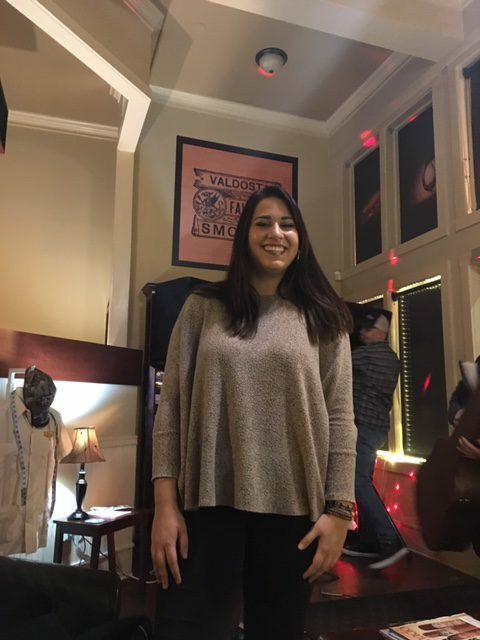 Alexis, cashier/ barmaid/ whatever they need! 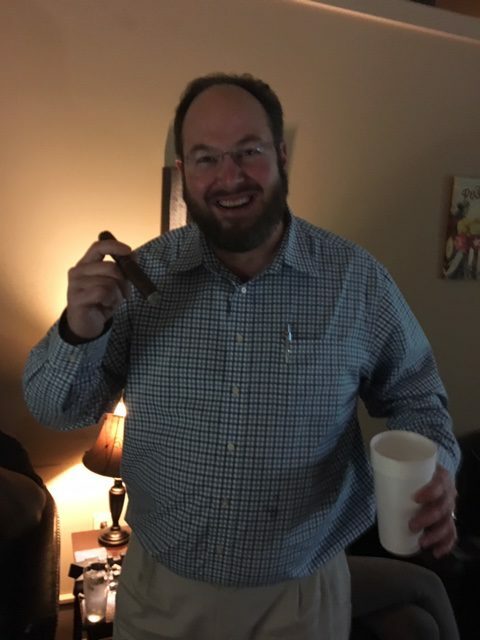 Ok, this was not the most exciting adventure that I have been on, but I did have an awesome time smoking and talking cigars with the folks at Stogies and if you find yourself looking for things to do in Valdosta GA, stop in and burn one at Stogies. they really are good people and tell em Chuck from Cigar Pals sent you. Nice. My dad ran the paper mill in Valdosta for years with Owens-Illinois. I’ll have to stop in some day. Thanks for the comment Sheila: Glad you like the post! They are a fun crowd at Stogies and the place has that hometown feel to it. 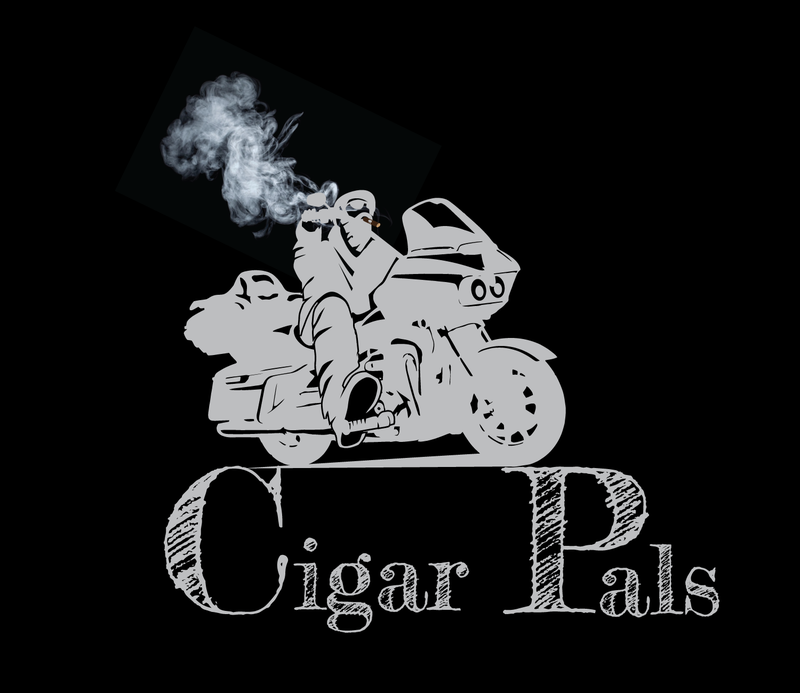 When you get down there don’t forget to tell em Chuck from Cigar Pals sent you. Also thanks for your continued support of the site! 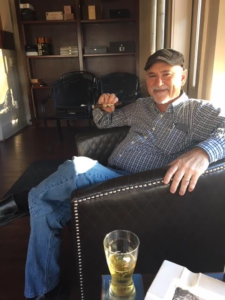 Thanks for checking out the blog Pete: I’m glad you enjoyed the post about Stogies. 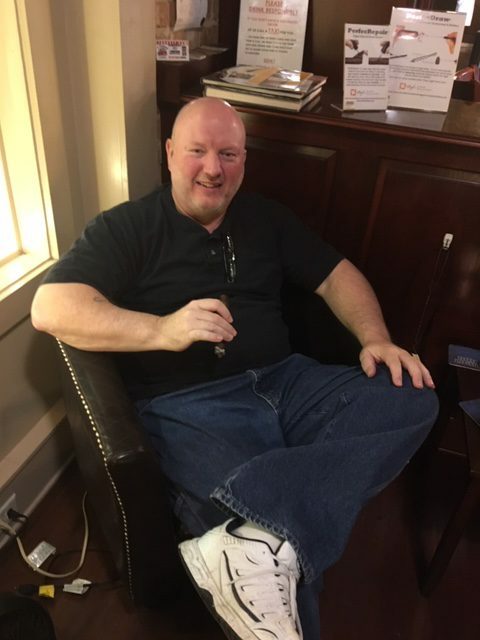 They have a cool cigar bar and their humidor has a nice selection. 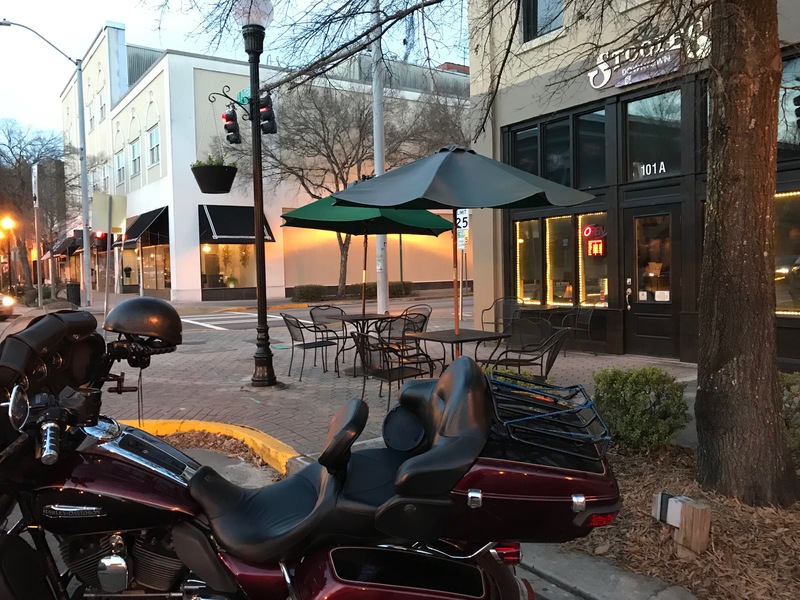 Next time you get down this way and are looking for things to do in Valdosta GA, Even though you don’t smoke cigars, stop in and say hi! Tell em Chuck from Cigar pals sent you! Also, though not a smoker, you may be inquisitive and there are a lot of interesting posts on this site with ride stories that you may find interesting. Nice story! Glad you came and enjoyed the place. Definitely a great place to come and wind down and enjoy fellowship. Pleasure to have met you! Hi Blake: Thanks for checking out the blog and leaving a comment! 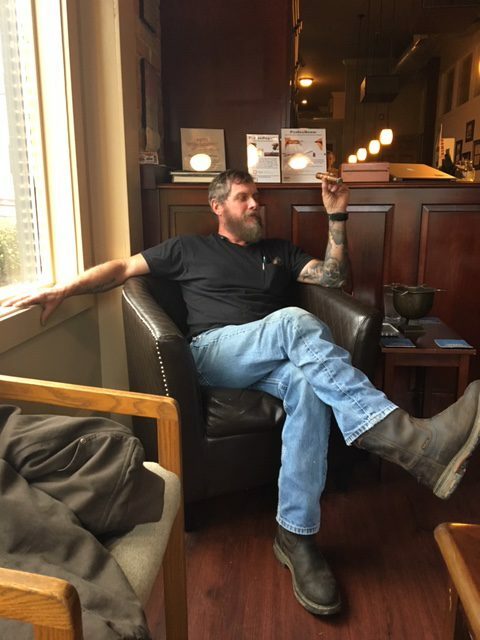 It has been a pleasure meeting y’all and I agree, Stogies is an awesome place to smoke a good stick and hang. Everyone has been warm and friendly, which I appreciate, because I like to tell my readers about cool places to stop in their travels. 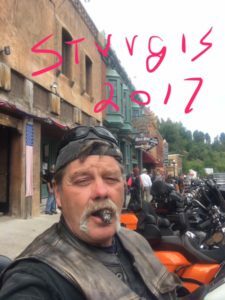 Look forward to smoking many more their, wait a minute, I’m smoking one right now at Stogies. It sounds like you really have a good time on your travels. How do you go about choosing the cigar you want. Do you just go in and look at everything or do you stick with what you like? Also, what stands out as a “unique” cigar that would make you choose to try it? Thanks for the question Deb: I covered this a little in my post about How to smoke a cigar. I used to thinks that I knew what I liked and would primarily stick with those cigars, but when I started this blog, I began learning about different cigars and blends and all kinds of stuff that goes into making a cigar and realize that my thinking was too narrow. 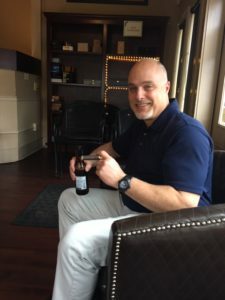 Now I am open to try a lot of different cigars and quite frequently go with suggestions. I have a list of cigars that have been recommended to me and I am always on the look out for them.